5. Your job is adding a considerable amount of unneeded stress. Beyond the stress of deadlines, decisions, confrontations, and negotiations, if your job is making you stress constantly about your next steps, your financial status, or how you’re going to get through the remainder of the week, it might be time to quit your job. Job-related stress should be left at the office. If it stays with you or spreads into your personal life, it’s time to take note. Your job shouldn’t overshadow your entire life. 6. You’re not financially where you’d like to be. Money isn’t everything, of course, but it’s a huge part of why you’re working and where you’re working. If you find that your current job isn’t offering you what you believe you deserve, it’s time to have a conversation. It’s also time to think about what your career trajectory looks like (see point 3) and what you feel your next step is. If you’ve had conversations and found yourself stuck in a financial rut with no promise for an increase in the future, it might be time to quit your job and look for a better paying opportunity. 7. You’ve communicated, on some level, your frustrations. Another important aspect of your job is your job environment – whether it’s safe, secure, hygienic, conducive to productivity, etc. If you’ve expressed your concerns with coworkers, boss(es), higher ups, etc. and haven’t received a response or the response you’re looking for, or if you feel that you’ve said and done everything you can to stay but still aren’t happy, it’s probably time to part ways. 8. 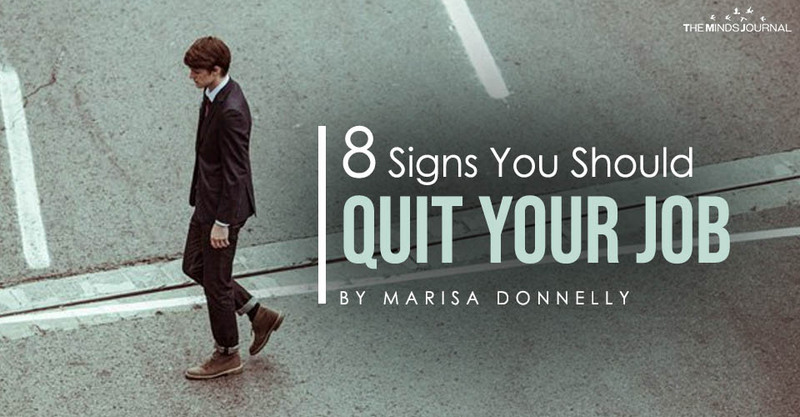 You’ve wanted to quit your job for a while, and have even gone so far as to pursue other options. 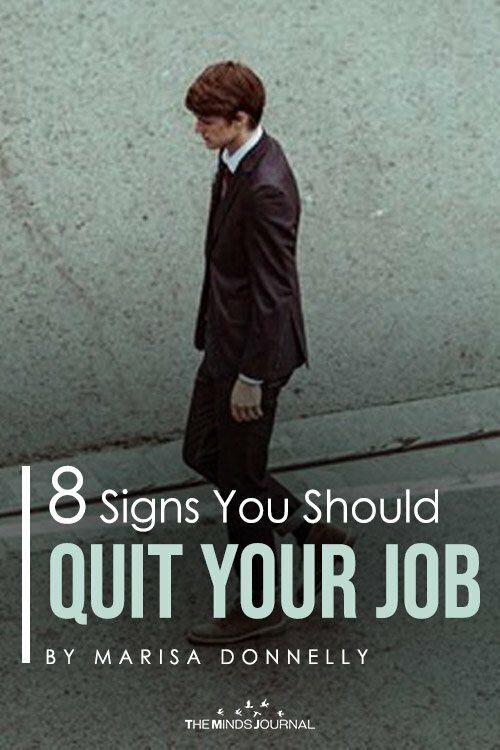 If you’ve been searching and pursuing other options, this is a major sign you should quit your job. You can talk the talk all you want, but once you start walking the walk, and actively pursuing other positions, it’s true that you aren’t happy with where you are. If you believe you are capable of doing better and deserve overall better opportunities, you may have to quit your job. And that’s okay. The opportunities, although daunting at first, are endless. The Best Job Interview Answer Ever. This Man Just Nailed It! !